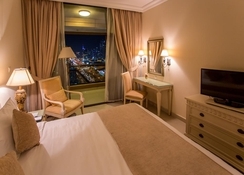 Boasting stunning city skyline views, Mercure Dubai Barsha Heights Hotel Suites is a gorgeous establishment located on bustling Sheikh Zayed Road. The Internet City Metro Station is a 1-minute walk from the hotel, making it easy to explore what Dubai has to offer, yet guests will also find grand shopping malls, beaches, and other popular places of interest just minutes away. Soak up the sun by the outdoor swimming pool or make a splash in the kids' pool, discover the in-house Pulse Fitness Centre or unwind at the luxurious spa. Mercure Dubai Barsha serves up a variety of local and International cuisines at its restaurants, with quality food available at breakfast, lunch and dinner. 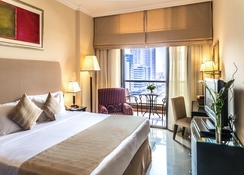 The suites and apartments at Mercure Dubai Barsha offer ultimate comfort, with necessary amenities to suit all guests – from families to couples and solo visitors. 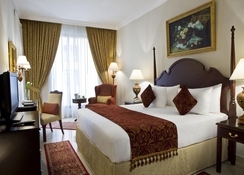 The hotel is located close to various prominent tourist attractions and transport facilities. The famed Dubai Marina Mall is at a distance of 5.3km from the hotel. 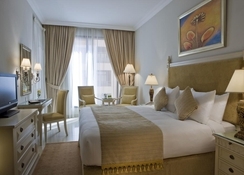 The hotel is also located near to The Walk at JBR at a distance of 9km, boasting unique shops, restaurants and bars. For business travellers, Places of interest like Dubai Media and Internet City and Knowledge Village are within 4km from the hotel. The Dubai International Airport is at a distance of 30km. Al Maktoum International Airport is at a slightly greater distance of 39km. The Jumeriah public beach is at a distance of 16km. The hotel is a leading example of fine modern architecture, a 41-storey tower complete with 607 roomy apartments. Guests can choose their accommodation option between One Bedroom Apartments or Two Bedroom Apartments with one king size bed or with two single beds, plus city or skyline views. For larger families or groups, there are Family Two Bedroom Apartments with a king size bed and two single beds. The Hotel offers a wide variety of dining options. The hotel’s signature restaurant Day and Night offers continental cuisine and three live cooking stations for guests to peruse, and as the name suggests, it's open for business day and night. Olea Garden is the hotel's luxurious Lebanese restaurant located on the 8th floor, while Corner 8 pool bar and Café Social offer light bites and refreshments. The hotel's rooftop swimming pool makes for a popular pastime, with a nearby kids' pool available too. The Pulse Fitness Centre offers state-of-the-art equipment which can be used while guests admire the city views, or why not head to The Orchid Palace Wellness Spa offering health treatments and massages. 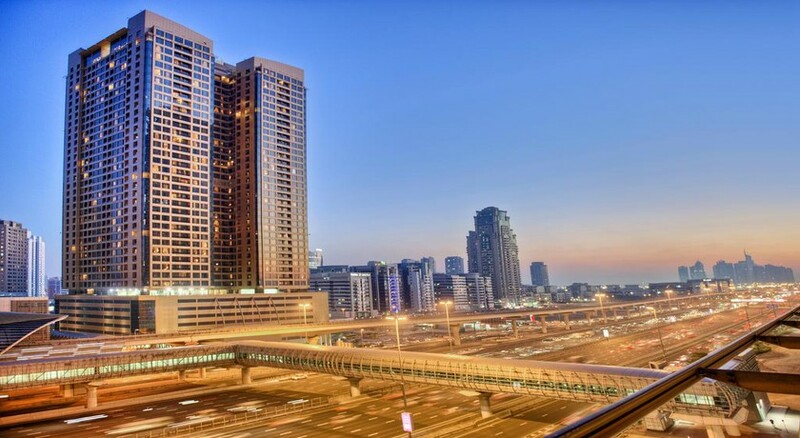 Outside of Mercure Dubai Barsha, there is a medley of entertainment including the Dubai Marina Mall, Dubai Opera Performace Centre, IMG Worlds of Adventure and more. We would like to inform you that Mercure Hotel Suites & Apartments will as of 1st April 2019, be a “smoke free Hotel guest rooms”.